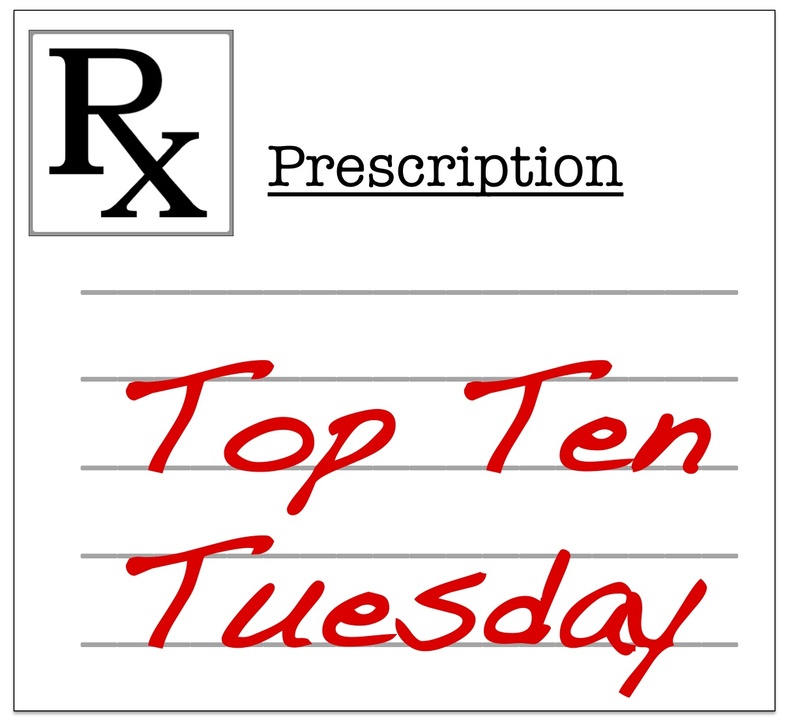 | A trusted source in prescribing books for students and readers! 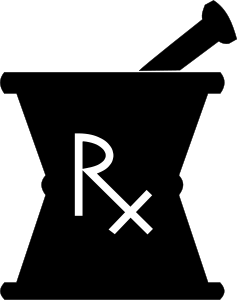 A trusted source in prescribing books for students and readers! I received Going Over from Edelweiss as a requested ARC in exchange for an honest review. Expected publication date: April 1, 2014. This is the first time I’ve read a fiction book–okay, any book–with a focus on the Berlin Wall. In fact, after reading Beth Kephart’s Going Over, I realize that my schooling about this historical barrier was pretty lacking. Luckily, the rich historic detail in Kephart’s YA novel prompted me to do some informal research about some of the scenes and events she describes. I should add, though, that Going Over is not a book that is heavy-handed with the history lessons. This is really the story of forbidden love between two teens, Ada and Stefan. Ada from West Berlin, Stefan from East Berlin. The two have grown up separated by the wall but have come to know each other through visits between their grandmothers. The strain of limited, temporary visits, especially when Ada faces two of the most difficult experiences of her life, cause them to consider an escape plan for Stefan. But Stefan knows all too well the risks faced by those who try to go over: His grandfather was killed during his own attempt. As Stefan struggles to make what could be the biggest decision of his life, Ada creates a work of art with graffiti, a welcome mural on the very wall she hopes to see Stefan cross over. It was tough to get my bearings in the story with Ada’s unique voice. Really, the entire read, I had a tough time picturing the scenes and characters Kephart described; it was more like I got impressions rather than clear images. Once I acclimated to this style and the exposition gave way to action, however, I was hooked. In addition to the main storyline of Ada and Stefan’s impossible romance are some really interesting subplots. Ada works at a daycare where many of her charges are children of the city’s Turkish “guest workers” (another history tidbit I’d known nothing about!). 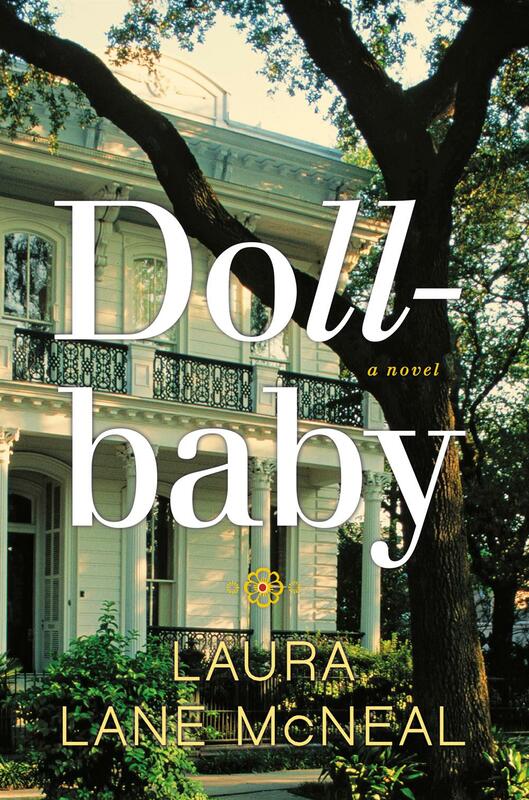 One of her favorite kids stops showing up to daycare, under suspicious circumstances, and Ada fears for his life. Readers also meet Ada’s friend Arabelle who is relentlessly supportive of Ada but has problems of her own. Ultimately, this is a wonderful novel. I found myself thinking that it could actually have a wider readership amongst adults. But the right teen readers, those with patience, maturity, and some reading chops, will be so glad they read such a unique story that they won’t soon forget. There is a lot to Going Over that will challenge readers. First, Kephart uses two perspectives: that of Ada and that of Stefan. However, to further complicate matters, Ada’s chapters are written in first person point of view while Stefan’s are told in second person. I’d never encountered voice like this before (although it did remind me of the dual stories of Shorty and Touissaint L’Ouverture in In Darkness by Nick Lake), but I came to appreciate the author’s choices. We are meant to be drawn into Ada’s world because this is Ada’s story; Stefan’s perspective is important, but ultimately he is a part of Ada’s world. Kephart’s writing style may throw off many readers, too. Admittedly, it took me awhile to get into it. I feel like I need to quote another passage for good measure, 🙂 another graffing scene: “Tonight it’s blues and purples I’m misting, white dust. Tonight my red bandana is high on my nose, my hood is pinched, and my light’s wedged in. I’ve shaken the Krylons hard, punched their noses, swapped a full cone out for a flat streamer, because I’m working the wall simple, in honor. I’m writing a burner” (48). I think readers would also feel more comfortable in Kephart’s fictional world with some background about the Berlin Wall. As I said before, I knew embarrassingly little about that part of history going into this read, but my limited background still felt necessary to comprehending the story. Going Over feels more like an adult novel. There is nothing glaringly inappropriate, and I don’t mean to undermine the abilities and preferences of teen readers, but I just see an appreciative reading audience being a little older. Outside of this opinion, there is a little profanity and mention, but not description, of a sexual assault. -This is such a well-researched historical fiction novel with strong connections to the end of the Cold War, communism, the eighties, and, of course, the Berlin Wall. It is also the best kind of historical fiction–the setting is an integral part of the plot, but it is woven in naturally, not forcefully. The book or excerpts could be used in conjunction with teaching these historical topics. -Discussions/Debates about peoples’ rights and freedoms. There are motifs about being physically and metaphorically trapped throughout Going Over. -Mood/Tone! Kephart’s writing is practically a study in creating tone and evoking mood. When we reach the observation post I put my arm across Arabelle’s shoulder and guide her up the steep flight of planked steps until we’re standing at the guardrail looking out over the wall’s sewer-pipe cap. Past the anti-vehicle ditch, the hedgehogs, the control strips, the trip flares, the dog run, the signal alarms, the signal fence, the barbed wire on the other side. Past the bright glare toward East Berlin, Friedrichshain, where the old buildings are fortified and the new buildings are concrete boxes, one room on top of another, every room exactly the same size, one light still on, the rest of it darkness after so much glaring brightness. My eyes track back toward the guards in their yellow-lit room, the steam in their windows, their radio antennae spiking on top. They’ve got portholes for firing through. They’ve got a 360-degree view. They’ve got shoot-to-kill orders if anybody flees, but right now, our graffing done, we are not their enemies. We are safe where we are against the splintery rail, safe watching that side from this side, looking for Stefan. He’s out there, somewhere, in the dark. Isn’t he? “Do you think…” Arabelle asks again, but I pull my arm tighter around her and lift my right hand, marking that one solitary distant light in Friedrichshain with my spray-can finger. It twinkles on and off, yellow and blue. It looks like a star that has fallen. Chronicle Books, publishers of Going Over, have made a Teacher’s Guide with discussion questions and instructional activities related to the book. Woo! Click here to get the PDF. Plus, the publishers have also posted an excerpt from the first few pages on Scribd. For some background about the Berlin wall, try this video from history.com. This brief video, courtesy of National Geographic, highlights the dangers of East Germans trying to escape to West Germany. This is not a book for everyone. That said, it will be an excellent, excellent choice for many. 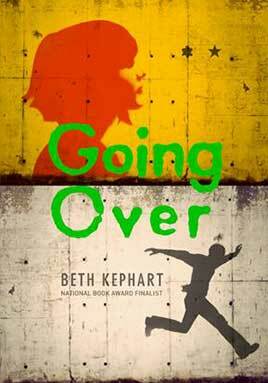 Beth Kephart’s Going Over is equal parts poetic prose, authentic historical background, and emotional ups and downs (feels, if you will). Those who read should not be surprised by a strong urge to do some historical research. 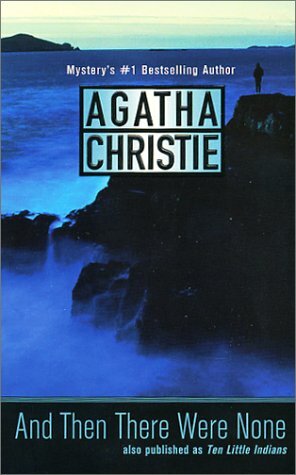 And Then There Were None is my first Agatha Christie mystery, and it lived up to my high expectations! The mystery opens with ten strangers traveling to privately-owned Indian Island, a tiny piece of land situated near Devon, England. A vague acquaintance of the ten has purchased it, so each guest eagerly accepts his/her invitation without much question. One overslept and then there were eight. It becomes clear that the ten are intended victims of Mr. Owen’s twisted sense of justice. Christie does an excellent job of making readers wonder: Who is U.N. Owen? And who will be this murderer’s next victim? Elements of this mystery are very far-fetched, but I think the unbelievable components actually make the read more entertaining and allow the reader to focus on trying to solve the mystery himself/herself. I don’t usually feel this way about books, but I actually wish that Christie had made And Then There Were None a little longer. Once the murders start occurring, the pace is fast and the action is unrelenting until the end. I would have loved to see the suspense played up more: more emphasis on the characters’ psychology, more description of the creepy setting, maybe even some false alarms…and false leads. Otherwise, And Then There Were None is a solid mystery that has stood the test of time for a reason. The older writing style and language (And Then There Were None was first published in 1939) may throw off unprepared readers. In terms of most vocabulary and sentence structure, though, this is still a not-too-demanding read, so sharing an excerpt or two with students ahead of time may help your student readers. The cast of important characters is bigger than most books, and keeping the characters straight is really important to the plot. When this is the case, I sometimes recommend that my students make a character web or annotated list (the latter can be done really easily on a blank bookmark!) to aid their comprehension. There is a somewhat ugly history behind some of the content and the title of this book, and it definitely serves as a glaring reminder that interpretations of what is PC have changed a lot over time! I won’t spend time on that in this blog review because the issues with the original title(s) were resolved with early American publications. But feel free to take a browse here. (Sometimes I find it best to address potentially problematic content with students ahead of time, but the history of And Then There Were None may not show up on your students’ radar at all.) On that note, there are a handful of jokes and comments made by characters that are anti-Semitic in nature. 😦 If the book is going to be used in a classroom setting, I’d suggest forewarning students and taking advantage of a “teachable moment” about the grossly inappropriate and hurtful nature of such comments. -Independent reading or student-choice book clubs. -Discussion. Like any good classic, this one has all kinds of potential for rich discussion. What do you think about the murderer’s ideas on justice? 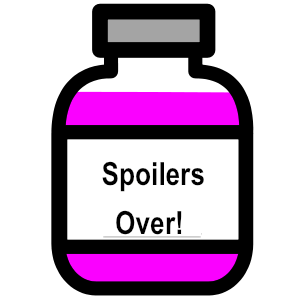 What did you think of the ending? What common elements or archetypes, particularly in the mystery genre, are present in this book? -Mood/Tone. From the start, Christie evokes a sense of foreboding. Students can examine how this mood is executed (pardon the slight pun). -Foreshadowing. Christie leaves lots of hints about upcoming plot developments throughout this story. Prediction-making is a fun, valuable strategy when reading any mystery, but it is especially worthwhile with this story. “The whole party had dined well. They were satisfied with themselves and with life. The hands of the clock pointed to twenty minutes past nine. There was a silence–a comfortable, replete silence. Every one was startled. They looked round–at each other, at the walls. Who was speaking? The Voice went on–a high clear voice. Edward George Armstrong, that you did upon the 14th day of March, 1925, cause the death of Louisa Mary Clees. Emily Caroline Brent, that upon the 5th November 1931, you were responsible for the death of Beatrice Taylor. William Henry Blore, that you brought upon the death of James Stephen Landor on October 10th, 1928. Vera Elizabeth Claythorne, that on the 11th day of August, 1935, you killed Cyril Ogilvie Hamilton. Philip Lombard, that upon a date in February, 1932, you were guilty of the death of twenty-one men. members of an East African tribe. John Gordon Macarthur, that on the 4th of January, 1917, you deliberately sent your wife’s lover, Arthur Richmond, to his death. Anthony James Marsden, that upon the 14th day of November last, you were guilty of the murder of John and Lucy Combes. Thomas Rogers and Ethel Rogers, that on the 6th of May, 1929, you brought about the death of Jennifer Brady. Lawrence John Wargrave, that upon the 10th day of June, 1930, you were guilty of the murder of Edward Seton. There was a moment’s petrified silence and then a resounding crash! Rogers had dropped the coffee tray! At the same moment, from somewhere outside the room there came a scream and the sound of a thud. Trailer: This is actually a film trailer for the 1945 adaptation. Man do I love a good classic movie trailer! I also think students would love the melodrama in this one. Agatha Christie was actually the subject of a real-life mystery! Before writing And Then There Were None, she disappeared for several days without a trace. Find out more at this link and this link. 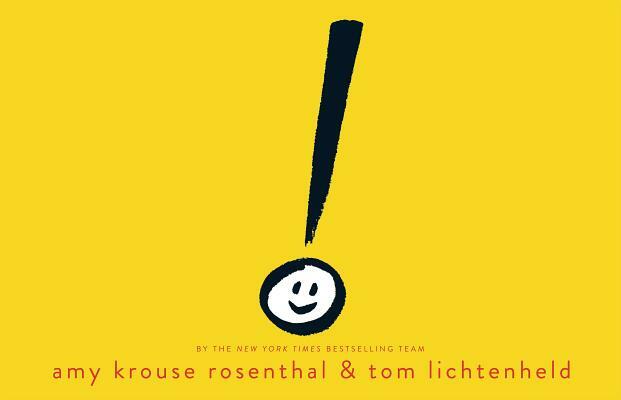 Exclamation Mark, written by Amy Krouse Rosenthal and illustrated by Tom Lichtenheld, is a picture book that has excellent potential for use in middle school classrooms. I really enjoyed it! Exclamation mark (Exclamation Mark?) doesn’t fit in with the periods. He stands out, literally and figuratively. 🙂 One day he meets a question mark who helps him learn his purpose as punctuation. In the end, he realizes it’s not a bad thing to be different from others. Rosenthal keeps the text pretty simple, but she incorporates some really clever play on words. For example, Rosenthal points out that the exclamation mark is different from the periods by writing that “he just wasn’t like everyone else. Period.” Older students (and their teachers!) will appreciate this subtle humor. -Study of punctuation mark uses! -Puns. Rosenthal’s wordplay in this book is really fun, and older students may catch on to it better than elementary students. -Types of sentences, including interjections. -Climax, and other narrative plot structures. This book has a very clear turning point, as do many picture books, so this may be an easier way to study climax with students who are confused by the concept. -Theme. For the same reasons as teaching climax, the lesson or theme of Exclamation Mark is made very clear to students. Hey look! You can download a free book(exclamation)mark here! If I could enlist authors to do the following things in 2014, all of my readerly wishes would come true! 10. Putting romance in where it doesn’t fit. Is it just me, or does every single YA book right now, regardless of genre, seem to feature a romance between characters? I realize that books in all formats/categories often build their plots from universal experiences related to love and relationships, but things have gotten out of hand. To me, some problems, settings, and casts of characters just don’t lend themselves to romance. And YET, in a romance must go. An epic battle breaks out between an evil alien race and human teenagers. Just as one badass chick is about to off an alien dude…she sees something in his eyes, a sparkling that tells her he’s not all bad. Maybe she can save him–after all, he just needs a girl who understands his extraterrestrial ways. Bleh! Or…a high schooler discovers he has special powers that can be used to stop an impending terrorist plot. But first, he absolutely must ask that hot cheerleader out; you know, the one who had never noticed him before but that improbable circumstances have made her see his true boyfriend potential. Ugh. Romances, especially unrealistic, insta-love ones, should not be forced into every YA novel published. I know from working with middle school kids, even the hormone-crazed teenage ones, that they want more from a book than just a love story. And sometimes they don’t want that at all. Also, stop the love triangles. Just stop. One last thing I have to get off my chest about romance in YA books. I would love to read more books in which authors don’t set their MCs up to rely on the love interest to overcome their conflicts. I wanna see more strong, independent characters who don’t need a significant other to prevail. 9. Bring on the historical fiction! I love food, especially junk food, and I recently realized that I also love to read about junk food. Authors, can we please work more storylines around cupcakes and pizza? 7. Horror audiobook + Keith Morrison = AAAAAGGHHHHHH! Keith Morrison of Dateline fame must start narrating for audiobooks. Especially if the story he’s telling is in the horror genre. Here he is telling The Night Before Christmas – not horror, but I think you’ll see the potential. “Do you know of any funny books I can read?” is something I hear a lot from my students. I have to think that humor is one of the toughest emotions to elicit in readers. I’m sure most authors don’t set out to write a “humor” novel; that’s not really a genre. Complicating this further, I think a lot of my teen students expect the kind of constant, laugh-out-loud moments they get in a slapstick comedy movie. I have definitely laughed so hard I’ve cried when reading (read: Bossypants), but it’s always a completely different experience than watching and listening to something that’s funny. Either way, I would love for more YA authors to incorporate those laugh-out-loud moments in their books. I realize this one sounds very morbid. The thing is, I’ve read some really fantastic YA fiction with characters coping with cancer (or cancer with loved ones). It can be very inspiring to see characters deal with and overcome something that is both very frightening and very real. What I would love to see some authors tackle is characters conquering chronic, life-changing, but maybe not fatal, conditions. I have students who have things like Type 1 diabetes and Crohn’s disease. It would be nice to see their problems reflected in literature. My students love a good thriller, and so do I. For middle schoolers, though, I feel like horror novels fall into one of two camps: low-level, low-threat ghost stories, a la Mary Downing Hahn or graphic, sadistic YA for older readers like Barry Lyga’s “I Hunt Killers” series. Can we get something that is slightly in-between? 2. Natural disasters and environmental problems and climate change, oh my! Some of the most frightening fiction I’ve read is not in the horror genre at all: It is about natural disasters. I was paranoid for weeks after reading Life As We Knew It! Despite the anxiety well-written apocalyptic books can cause, I love reading them! I’m also ready for YA trends to shift from dystopian to apocalyptic. 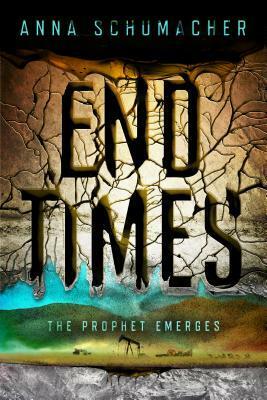 Specifically, apocalyptic fiction centered on natural disasters. 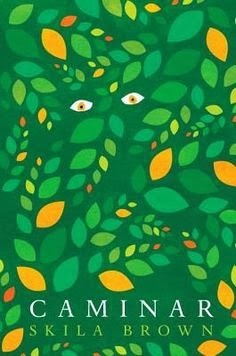 On the topic of the environment, I would also love to see more books with a problem related to environmental issues (think Carl Hiaasen). Anyone who knows anything about my reading tastes knows I am a sucker for an unreliable narrator. I don’t care if the narrator is lying to me, suffering from amnesia, too immature to understand, or inflicted with a mental disability – I just love the natural mystery that is built in when the author makes you really think about the validity of that perspective. I also like the reading challenge it provides for my students. The concept of the unreliable narrator is really new to them at eighth grade; so those who usually don’t have to work at inferring or constructing meaning have to with an unreliable narrator (wa ha ha ha ha!). I would love to hear any recommendations you have of books that may fit my wishlist! Really Brief Synopsis: Drama abounds at the Minnesota State Fair when Diggy and Wayne discover they are half brothers. 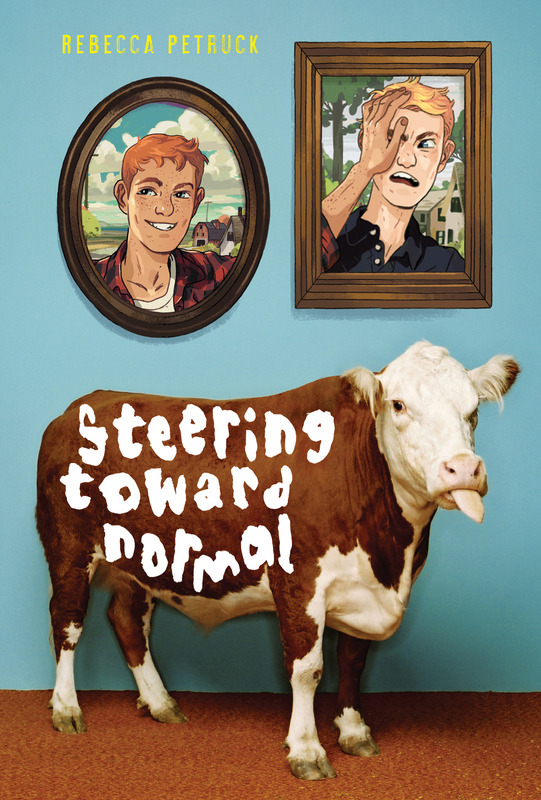 Why I Want to Read It: This story looks to be a great combination of silly/humorous and dramatic. I hate to put too much (or any) faith in a book based on its cover, but c’mon. Look at that thing. I love it! Really Brief Synopsis: Middle grade novel about siblings who inadvertently discover a secret society of ninja librarians who protect free speech. 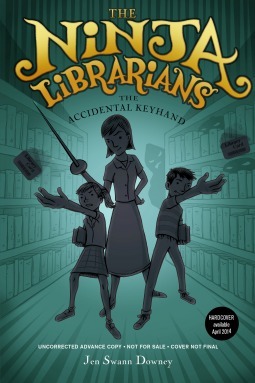 Why I Want to Read It: I mean, ninja librarians. NINJA librarians. Really Brief Synopsis: A teen girl goes to a camp for talented and gifted high schoolers after her grandmother passes away. 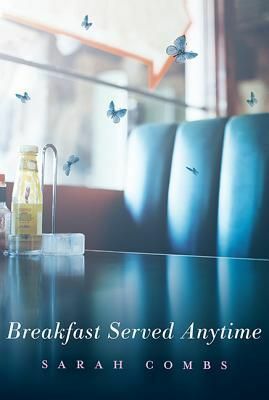 Why I Want to Read It: Well, it has ‘breakfast’ in the title is one. Also, it features a protagonist who is labeled as ‘talented and gifted’; for several years, I’ve taught gifted students, and I’m always looking for more books with characters they can relate to (in this aspect, anyway)..
Really Brief Synopsis: A novel in verse about a boy trying to survive Guatemala’s civil war. Why I Want to Read It: I’d like to read more novels in verse; the more I try written in this style, the more I like and the more I like poetry in general. History and poetry are two genres I want my students to try out more, as well. Really Brief Synopsis: A girl moves in with her grandmother during the Civil Rights era and discovers her family has many unexpected secrets. Why I Want to Read It: I feel like I don’t read enough historical fiction. I’m not sure why because many of my favorite books of all time come from that genre. Although this is more of an adult historical fiction novel, those that tell more of a coming-of-age story sometimes translate to teen readers. 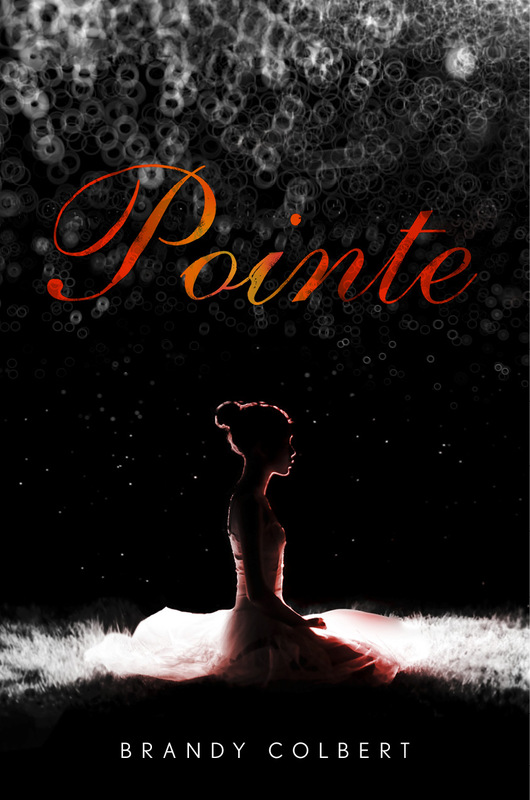 Really Brief Synopsis: Theo, a serious ballerina, is conflicted about how to help her friend Donovan when he comes back into her life after being abducted. Why I Want to Read It: I used to dance but don’t really anymore. I have yet to find a really fantastic book that features a dancer. Maybe this will be the one! Also, I have tons of students who are really serious about dance, and I think they would appreciate a good dance-focused fiction novel as much as me. Really Brief Synopsis: In 19th century Scotland, Lady Aileana Kameron balances her social life with faery slaying. Why I Want to Read It: For some reason, I’m eagerly anticipating multiple books that have some strong similarities (or at least it seems that way) to Graceling by Kristin Cashore. But that makes sense because I loved that book, my girl and boy students loved that book, and I haven’t read anything like it in quite a while. 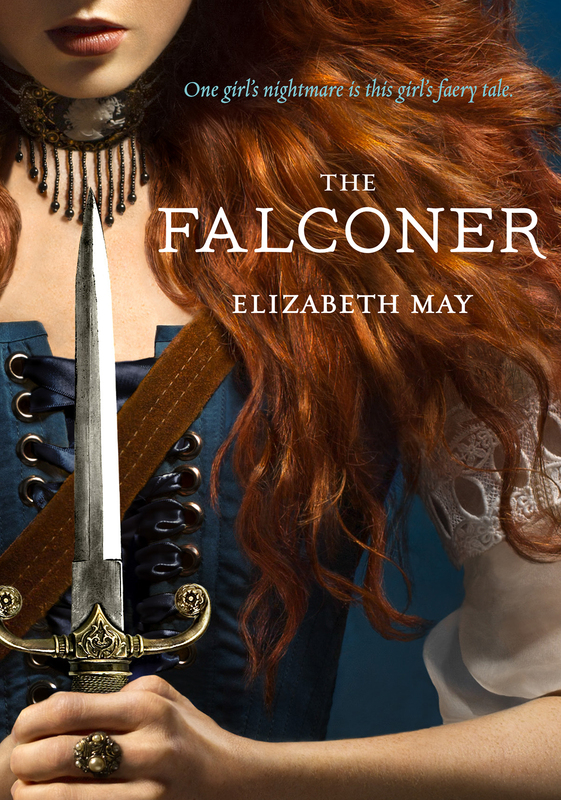 Hopefully The Falconer lives up to the high bar that story set. Really Brief Synopsis: Strange things are happening in Daphne’s new Wyoming town. Locals claim it’s the end of the world. Is there another explanation? Why I Want to Read It: The setting, a Wyoming boomtown, is one that would be totally new to me. I’m also intrigued by the idea of a town taken with the idea of the Rapture approaching. There is something about religious extremism in fiction that fascinates me. My students and I love dystopian and apocalyptic fiction, too. Really Brief Synopsis: A teen girl growing up in 1930s Germany finds out there may be more to the story of her father’s death: Was he really sacrificing himself to protect Hitler? 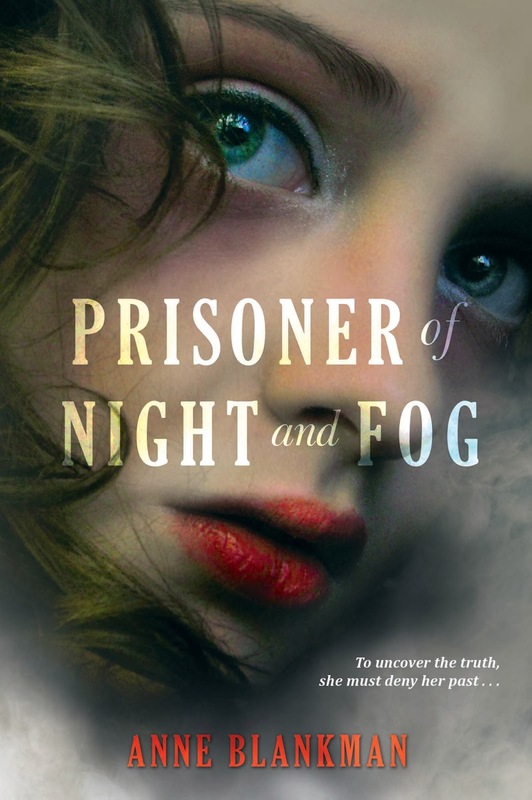 Why I Want to Read It: I have a DRC of Prisoner of Night, and the first few chapters have me really impressed. I have some other titles I have to read first, but I can’t wait to get back to it. Blankman is a pretty obviously talented writer. My students read any and everything dealing with WWII that they can get their hands on. I like Blankman’s unique angle, and I hope she’s pulled it off! Really Brief Synopsis: Nyx and Ignifex are characters in a twist on Beauty and the Beast, but with romance and assassins! 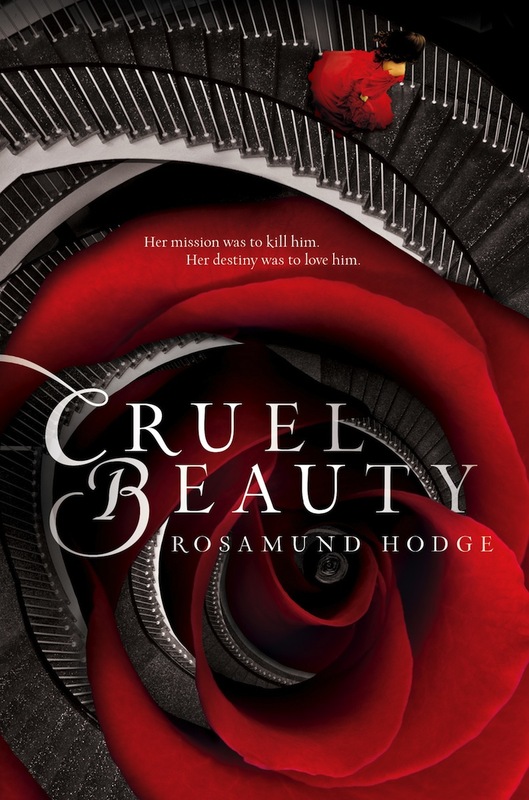 Why I Want to Read It: Publishers are touting this as, “Graceling meets Beauty and the Beast.” I loved Graceling, and Beauty and the Beast happens to be my favorite Disney movie. 🙂 Mostly, what grabbed my attention is that Nyx, the “Belle” of the story, is a trained assassin who is expected to seduce then murder the “Beast” character. Love a good badass chick story, and I sure wouldn’t mind having more titles with these types of protagonists for my students to read. What debuts are you or your students looking forward to this year? Any of these that you’ve already read?